Louis Botha was born in Greytown, Natel in 1862. 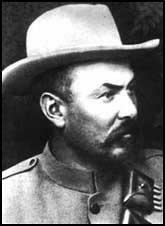 Elected to the Transvaal Volksraad in 1897 he was South Africa's most impressive military leader during the Boer War (1899-1902). 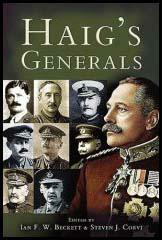 His success at Spion Kop resulted in him being promoted to commander-in-chief of the Boer forces. After the signing of the Vereeniging Peace Treaty (1902) Botha worked tirelessly for reconciliation with Britain. 1907 he was elected prime minister of the Transvaal colony under the new constitution and three years later became the first president of South Africa. On the outbreak of the First World War, Botha immediately offered to send troops to invade German South-West Africa. Afrikaner opposition to this move provoked a major Boer Revolt. This was defeated by the middle of 1915 but in the elections of that year, Botha's National Party, only narrowly held on to power. From July 1915 Botha passed direct military command to his close friend, General Jan Smuts. Botha attended the Paris Peace Conference where he argued against the harsh treatment of the Central Powers. A signatory of the Versailles Treaty, Louis Botha died in August 1919.